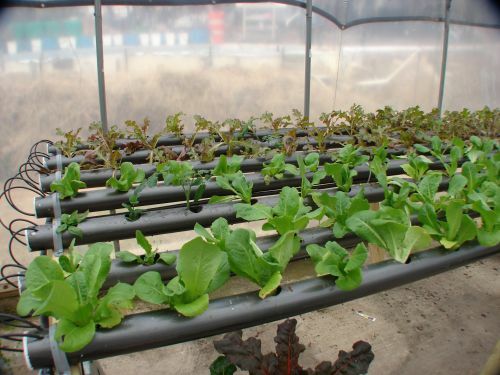 With our hydroponic constant flow lettuce bed, for only the price of two or three trips to the grocery store you can have your own hydroponic lettuce and herb garden, producing many times the volume of lettuce, greens and herbs your family can use—regardless of the size of your family! It is incredibly easy to use, and almost certainly will be the lowest-maintenance garden you've ever had! No mechanical skill is required, and with only a basic knowledge of tools you can be on your way to growing hundreds of pounds of lettuce and herbs this season! And not only that, but with the knowledge contained in our video you can turn your family hydroponic garden into an extremely simple and profitable home-based business! 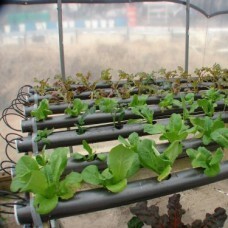 It is not uncommon to see lettuce, which is ridiculously easy to grow with this system, selling for four to six dollars a pound and more—and common herbs at $20-50 dollars a pound and up! The pesticide and herbicide free market is expanding exponentially in these last few years as we become conscious of the growing dangers of pesticides and herbicides to our health. Now is the perfect time to enter the market yourself and carve out a niche business selling lettuce to your neighbors, your friends, local restaurants, hospitals, delis, supermarkets and anyplace that wants high-quality locally grown lettuce! And the greatest thing is that your lucrative home-based business can be up and running and turning a profit in under six weeks! And the investment is about as small as you can imagine for such a venture! Or if becoming a lettuce tycoon isn't what you're interested in, this could make an excellent project for school or a great way for a non-profit group to help the needy. The sky's the limit on this project, for you can build the lettuce bed as large as you need and expand it even bigger when your market grows! And whatever else happens, it's almost impossible NOT to grow ten times more than your own family can use!